This entry was posted on August 6, 2018 by Tinteán Editorial Team/EMcK, in Drama, James Joyce, literature, News, Of Literary Interest, Ulysses, What's On... and tagged Ulysses seminar; James Joyce; Celtic Club. Bookmark the permalink. Further information: Ulysses for Everyone! Focal chapters: Cyclops (12), Nausicaa (13), Circe (15) and Ithaca (17). Ahead of the day you’ll receive additional helpful notes, text of the chapters we’re focusing on and extracts from the wonderful 1982 RTE radio production of Ulysses. PLEASE NOTE: You are NOT expected to be a Joycean expert! We guarantee you WON’T be put on the spot at any stage; and that at the end of the day you WILL feel inspired to explore this wonderful book further… that’s a promise! What is a novel? What are the limits of the form? The novel abounds in parodies, some affectionate, some highly critical. The focus for this session is Cyclops (13) with its 31 (or more) different parodies of (mainly) Irish styles. Parody as a salute to a tradition; a form of political critique; intellectual liberation. 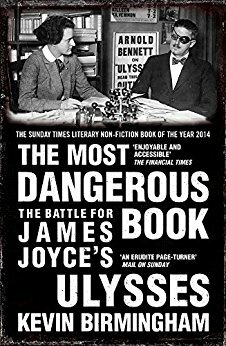 We take you through this chapter in detail and examine how the literary becomes highly political, and delve into Joyce’s take on power and violence. We also explore Joyce’s take on nationalism. We go to the pub! We’ll continue the Joycean chat at the Exchange pub over the road.